Tessa Charlotte Rampling, a.k.a. Charlotte Rampling, is an English born model, actress, and singer best known as the icon of the Swinging Sixties. She is best known for her works in films like Sherlock Holmes in New York, Georgy Girl, etc, appearing alongside veteran actors like Roger Moore, Patrick Macnee and Geoffrey Rush others. Her upcoming movie, The Red Sparrow, features Jennifer Lawrence in a leading role. Charlotte has had a very successful career but it's not the same when it comes to her love life. She has been divorced twice and became a widow after losing her fiance of 17 years to cancer back in 2015. Born on 5th Feb 1946, the 72-year-old is as graceful as ever but she is single at the moment. However, her single status holds more reasons than you can imagine. Here we are going to share some information about Charlotte Rampling's current love life and her past marriages and relationships. As already mentioned above, Charlotte is currently single but she shared back in 2017 that she is searching for a new man. After the death of her fiance of 17 years, the actress went through a mental breakdown and was in a very dark place. I want all that again. I'm an animal that needs a mate, and I know it's going to happen because I really want it to. Since then, there have been no reports about the actress being in a relationship or dating a man. So it is safe to assume that she is still in the search and has not found the right man yet. 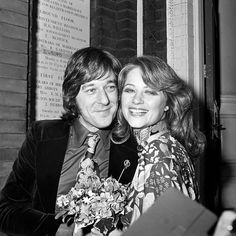 Rampling's first marriage was with Bryan Southcombe, an actor and publicist based in New Zealand. They got married back in 1972. The couple also has a child together named Barnaby who is now a TV director. They were married for 4 years until they decided to call it quits in 1976 and filed for divorce. 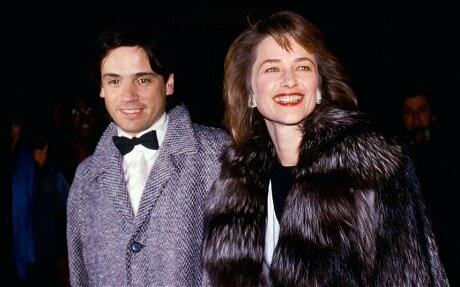 Following her divorce with the New Zealand actor, Rampling started having an affair with Jean-Michel Jarre, a French composer, in the same year. Almost a year later, the couple tied the knot on 8th October 1976. With Jean, Rampling gave birth to her second child, David Jarre, who is now a singer and a musician. Jean and Rampling's marriage lasted for a massive 21 years until they decided that things were not working out in the relationship. They got a divorce in 1997. Just a year into her second divorce, the actress again started having an affair French journalist and businessman Jean-Noël Tassez. The couple dated only a few months until they decided to take things to a new level. Jean popped the question to her and they got engaged in the same year. They lived as an engaged couple for more than 17 years but never really tied the knot. Eventually, this turned out to be a mistake as Tassez died on 2nd October 2015 because of cancer and the relationship came to an abrupt stop. The sad news made headlines all over the world as Rampling appeared at her fiance's funeral looking very heartbroken. Rampling went through a mental breakdown after the death of her fiance but has carried herself really well since then. She might have been unsuccessful in two cases and unlucky in the third but her 'hunt' is not over yet. We hope she finds a mate soon.